Soon after a tranquil period that lasted for about many months, volatility has again returned to the US housing market. In fact, in recent weeks, experts and analysts have seen huge gyrations in both the domestic and foreign equity markets. While the problems in the Eurozone might be deepening again, growth in China has cooled and that in Japan has become negative. Due to a sudden slip in commodity prices, there are concerns that limited inflation might as well turn into deflation in some places and all hopes for a widespread economic recovery might get dashed. On the other hand, a rather funny thing has happened to the mortgage rates this year, they’ve gone down yet again. Every expert said that mortgage rates could only go up in 2014 but what has happened is just the opposite. We started the year 2014 with an average 30 year mortgage (the most common way of financing a home) costing 4.69% and thereby the discussion among economists said that the rates would gradually rise to 5.5% by the end of 2014. But what happened to the rates as we stand at the fag end of 2014? The average price of a 30 year fixed rate mortgage steadily declined reaching a low of 4.01%, according to a most recent survey. Who are profiting due to this decline in mortgage rates? Yes, it’s true that buying a home is perhaps the biggest purchase of your life and small mistakes can cost you large in the long run. 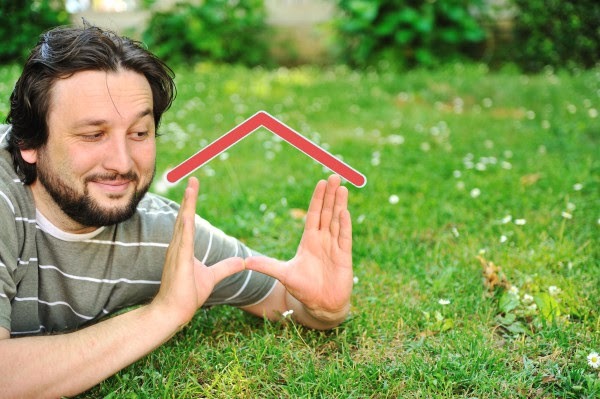 While buying a house can be a vital milestone, it can also be an intimidating experience too. The fear of not having enough money to take the jump into the home buying bandwagon is the most common fear among prospective buyer. The key to saving money for a first home is something that needs your attention. Take a close look at the most important fiscal tips that you require following before buying your home. Save enough for the required down payment: The very first thing that irks the homebuyers from taking the first step is insufficient down payment for taking out a mortgage loan. Hence, it is needless to say that initially when you plan to buy a home, a major portion of your savings should go towards your down payment. Lenders require mortgage applicants to come up with at least 20% of the cost price of the home loan and you should try to secure this amount so that you can attain favourable mortgage terms. Remember that those with fewer funds usually have to sacrifice in other areas like paying higher interest rates. Don’t forget to cover closing costs: One of the things that new homebuyers often forget to consider is the closing costs. Depending on the price range of the house, this can easily add up to a few thousand dollars. Closing costs include loan origination fees, title search fees, homeowner’s insurance fees and many other fees. Such costs may even add up to 5% of the purchase price of the house. So, it is clear that the more is the cost of the house, the higher will be the cost of closing. Add this amount to liquid cash while saving to stay safe. Clear up all your debt issues: Did you know that apart from your credit score, there is another number that is taken into consideration by the lenders before approving your mortgage loan? This is the debt-to-income ratio. The DTI ratio is the ratio between the total debt amounts that you’re carrying in correspondence with your income. If you have a huge debt load on your shoulders, take steps to reduce your debt either by taking out debt consolidation loans or by getting help from financial experts. The lower is your debt amount in correspondence with your income, the lower will be your DTI ratio. And with a lower ratio, the interest rate on the loan will be considerably lower. Think of personal preferences: Buying a house involves different personal decisions. Whether you will search in suburbs or city or in a town depends on you and the way in which you will decorate your bedrooms also depends on you. The condition of the home that you buy and that you move in to might not always be good and hence you may have to spend your dollars behind fixing things before moving in. The purchase price is definitely the biggest indicator of home much you need to save and this is most often influenced by smaller considerations like these. Hence, if you’re someone who is trying to fight your debts and purchase house in the recent future, you should follow the above mentioned tips. The more you are organized with your finances, the more you will profit while taking out a mortgage loan. And the sooner you repay your mortgage loan, the sooner you will own your home and become debt free.